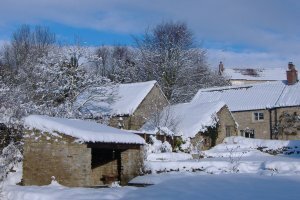 Lots of newly fallen snow in Helmlsey, a picturesque scene but maybe not want you want to see if you need to be somewhere. Here's some information about what services you can expect from local authorities in Helmsley and the wider area. Helmsley - pavements in the centre of town or on main routes, e.g. to the school or surgery. 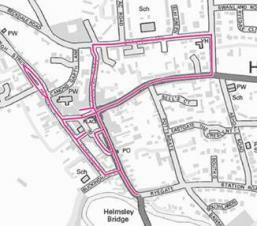 North Yorkshire County Council categorises these as Priority 1 routes, see photo of map, and contracts with Ryedale District Council that RDC will have these pavements gritted and cleared before 9:30am if possible. In seriously bad weather this can be difficult, despite very early starts. Ryedale District Council also grits the Market Place and the Cleveland Way Car Park. Other pavements in town, excluding for example Yorkshire Housing's or privately managed estates, are classed as Priority 2 routes. Helmsley Town Council used to contract with Ryedale District Council to have some of these cleared and gritted. Unfortunately due to staff cutbacks RDC finds it difficult to undertake this service and the town council is looking at using a private contractor for the winter of 2019-2020 or providing grit bins around town as volunteers have come forward. At the moment, after an extended period of bad weather, NYCC will ask RDC to clear or grit the pavements. 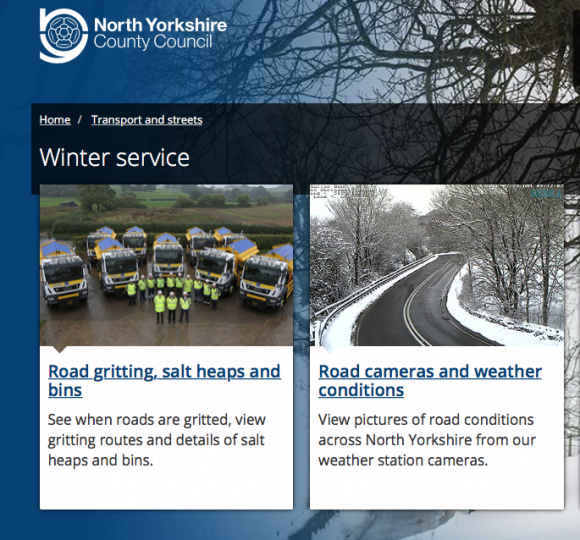 Check on North Yorkshire County Council's Winter Service page for information about which roads are gritted and current road conditions.